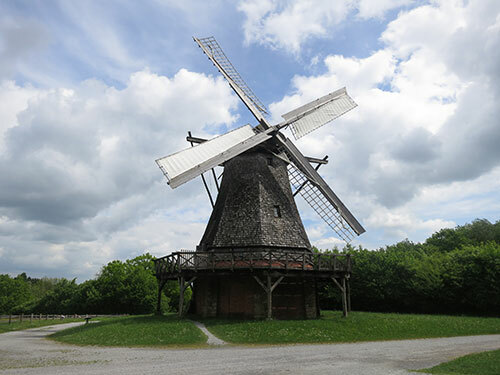 Wind Mill built in 1841 - as it appeared circa 1905. 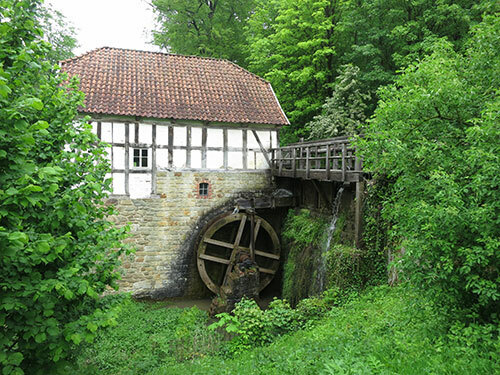 Milling was the second trade of a farmer. 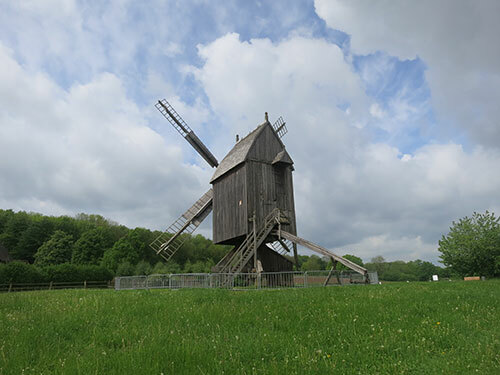 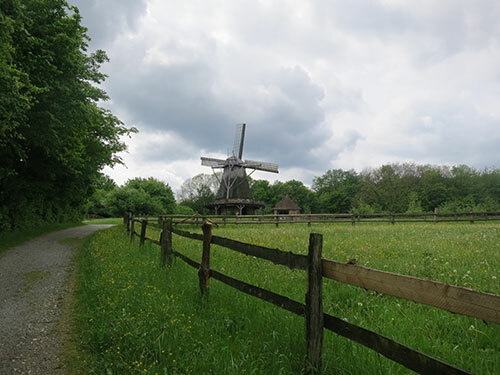 The mill was used to grind cereals, to beat flax and to cut fodder for animals. 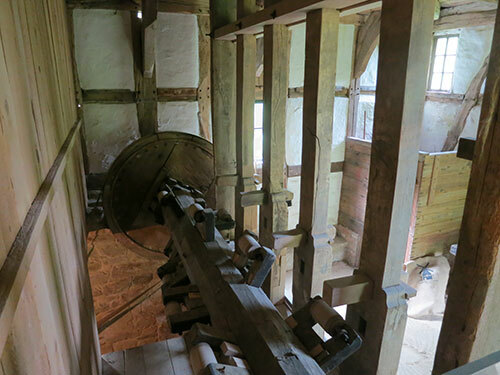 Gear for the water mill. 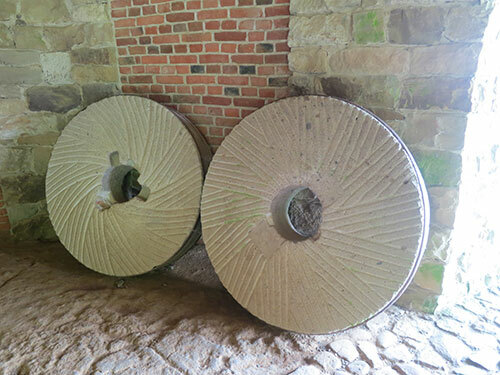 Mill stones from the above wind mill.